Down to Earth Kaka'ako Grand Opening! Soft Opening Friday April 27th! Upon its soft opening on Friday April 27th, the new Down to Earth Kaka‘ako location will feature a greatly expanded deli offering Down to Earth’s largest selection of deli foods, including take-home pizzas, wok fried Asian style bowls, vegetarian sushi, and an array of new salads, all made to order while you watch. There will be sweet potato fries and deep fried multi-colored vegetable chips to accompany items on the sandwich menu, cold pressed juice, and an extended selection of take home soups. The deli will include the company’s acclaimed hot table with delicious entrees and salad bar, fresh juices and smoothies, a great made-to-order sandwich menu, fresh grab-and-go options and a wide variety of tasty desserts made daily. 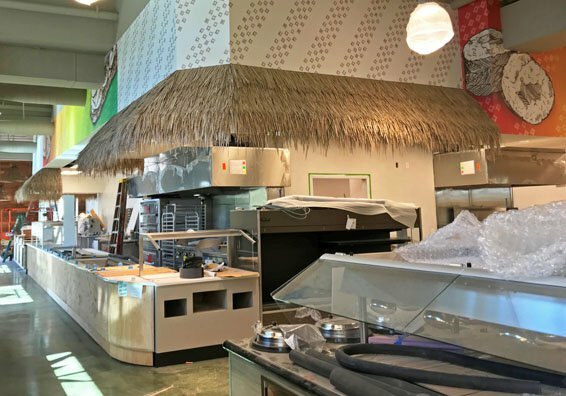 The Kakaako location will carry Down to Earth’s usual offering of a wide range of natural and organic foods and groceries including dairy products, local fresh organic produce, vitamins and supplements, and household items. 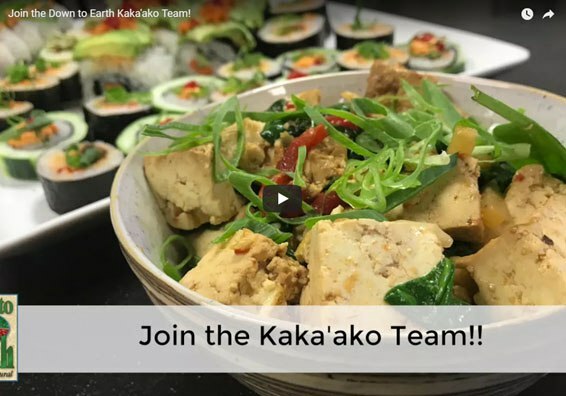 Join the Down to Earth Kaka‘ako Team! Help make a positive contribution to our community and our planet! When you join Down to Earth, you join more than a local company. You join a great team that has been making a positive contribution to our community and our planet since 1977.